Carl Schramm is a professor economist and entrepreneur. 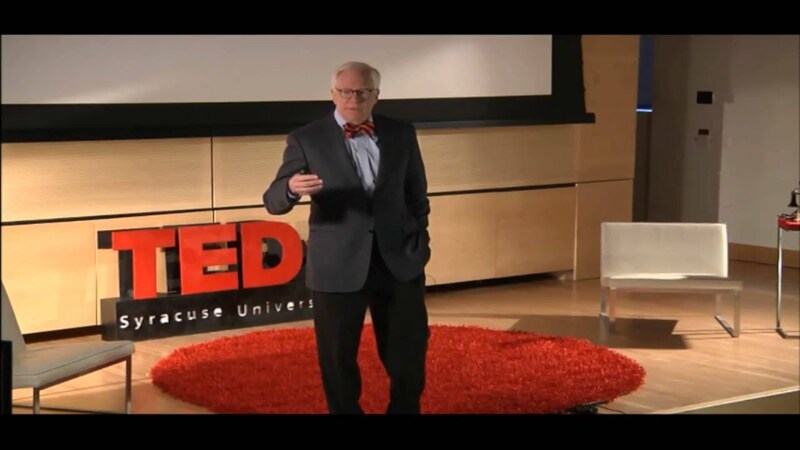 Schramm is a University Professor at Syracuse University and the former President and CEO of the Ewing Marion Kauffman Foundation, a private philanthropic foundation. Recognized internationally as a leading authority on innovation, entrepreneurship, and economic growth, Schramm was appointed as chairperson of the Department of Commerce's Measuring Innovation in the 21st Century Economic Advisory Committee, in 2007. 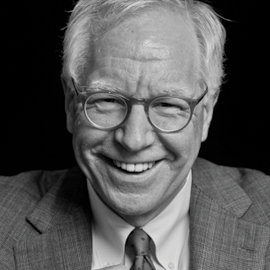 An entrepreneur himself, who brings a variety of experiences in business, public policy, and academia, Schramm has developed a unique perspective on the financial power of entrepreneurs and how public policies encouraging entrepreneurship can cultivate more dynamic economic growth. Under his leadership, the Kauffman Foundation has developed innovative programs that: expose students to the power of entrepreneurship, open new pathways to effectively move university innovations into the marketplace, create better-qualified angel investors as a critical source of seed capital for entrepreneurs, and engage economists of the highest caliber to study the impact of entrepreneurship. Schramm also has been instrumental in the development of the Foundation's international entrepreneurship fellowship program, which is funded by the UK government for aspiring British entrepreneurs. As a result of its thought leadership and its work, business leaders and government officials from around the world now look to Kauffman for leadership in helping them make entrepreneurship a part of their long-term economic development agendas. Before joining the Foundation in 2002, Schramm enjoyed a successful career in the healthcare industry. He was a co-founder of HCIA, Inc. and Patient Choice Health Care, and he founded Greenspring Advisors, a consulting and merchant banking firm in the health information and risk management industries. Schramm also served as executive vice president of Fortis (now Assurant) and as president of its health insurance operations. While there, he developed several innovations, including transition coverage for recent college graduates. Trained both as an economist and lawyer, Schramm began his career on the faculty of Johns Hopkins University and emerged as a respected thinker in healthcare finance, regulation, and insurance. He founded the Johns Hopkins Center for Health Care Finance and Management in 1980, the first such research center in the nation. While at Hopkins, he led the country's only post-doctoral training program in health finance, sponsored by The Robert Wood Johnson Foundation. In 1987, he chaired the American Assembly on Health Care Costs and edited its volume, Health Care, and Its Costs. He left Johns Hopkins to head the Health Insurance Association of America, which developed a number of industry-wide innovations in health insurance. Besides many leading academic journals, Schramm's work has appeared in Foreign Affairs, The Wall Street Journal, USA Today, and Newsweek. He is a contributing editor of Inc. magazine. Schramm's books, Good Capitalism, Bad Capitalism, with Robert Litan and William Baumol (Yale University Press, 2007) and The Entrepreneurial Imperative (HarperCollins, 2006),Burn the Business Plan: What Great Entrepreneurs Really Do are regarded as emerging classics, providing new insight into the American and international economies. In addition to his graduate fellowships (New York State Regents and Ford Foundation), Schramm received two consecutive NIH Career Scientist Awards and was a Robert Wood Johnson Health Policy Fellow at the National Academy of Science, Institute of Medicine. He is a Batten Fellow at the Darden School of the University of Virginia, a Fellow of the New York Academy of Medicine, a member of the Council on Foreign Relations, and a fellow of the Royal Society of Arts. He received the George Eastman Medal from the University of Rochester in 2005. 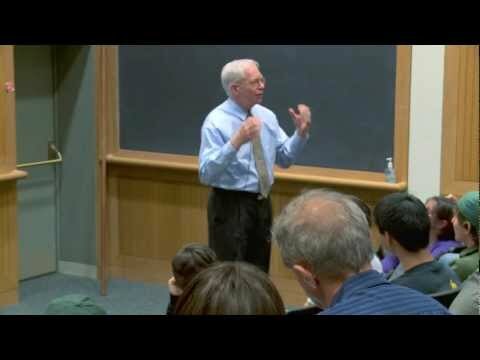 Carl J. Schramm: "Entrepreneurship and the Future of the Global Economy"